Create a home for bees, ladybirds and insects with this Make Your Own Insect House! 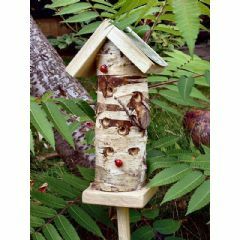 It could be a great project for your child, who could also learn about insects in your garden at the same time. Once made, you can paint it, or woodstain it, in the colour of your choice. 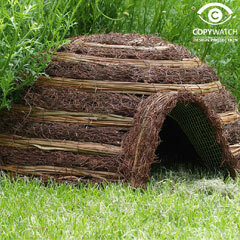 It is a lovely structure that can be freestanding or you could attach it to a wall or tree, the choice is yours. 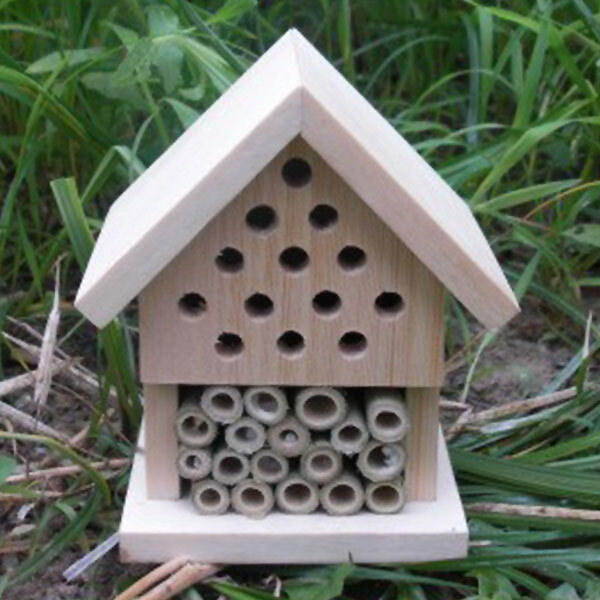 Some of the larger tubes are just the right size for masonry or leaf cutter bees. These bees do not swarm so there would only be a few of them using the box. 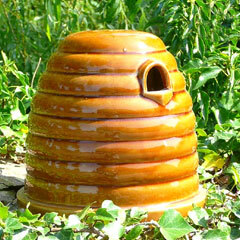 The bees lay an egg in a tube, put balls of pollen with it and then stop up the end of the tube with leaves or mud and in the spring the young adult eats its way out and the cycle starts over. 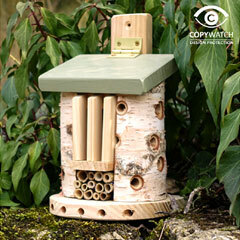 Other insects such as ladybirds will also happily use the smaller tubes in this habitat. Ladybirds, in particular, provide a wonderful, natural garden pest removal service by helping to get rid of aphids and other unwanted bugs. 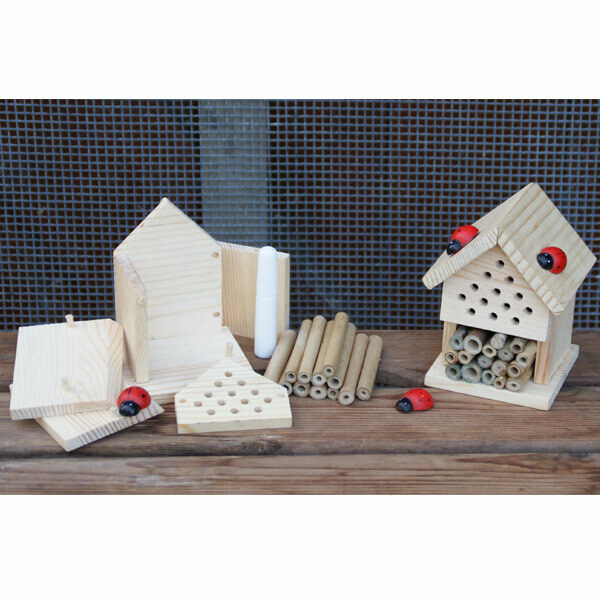 This easy to assemble kit comes in a tin made from recyclable steel and contains a wooden kit with glue, bamboo tubes and even has decorative ladybirds. 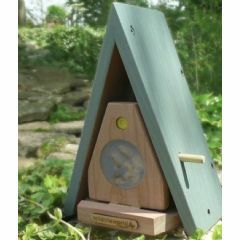 It would make a great gift for anyone interested in insects. 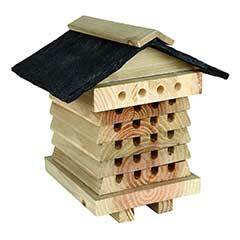 Comes in little tin box, everything you need to put the insect house together. Gave one for an early Christmas present. Grandson loved this, he is 7 and managed to make himself, comes in lovely reusable tin.